Used Books Library — Brooklyn in Helsinki. A pile of Books next to our Breakfast Set. Our friend has over 30 000 books in his used book shop in Kallio, Kuuskulma. He mostly sells online and he has the best taste in second-hand books. 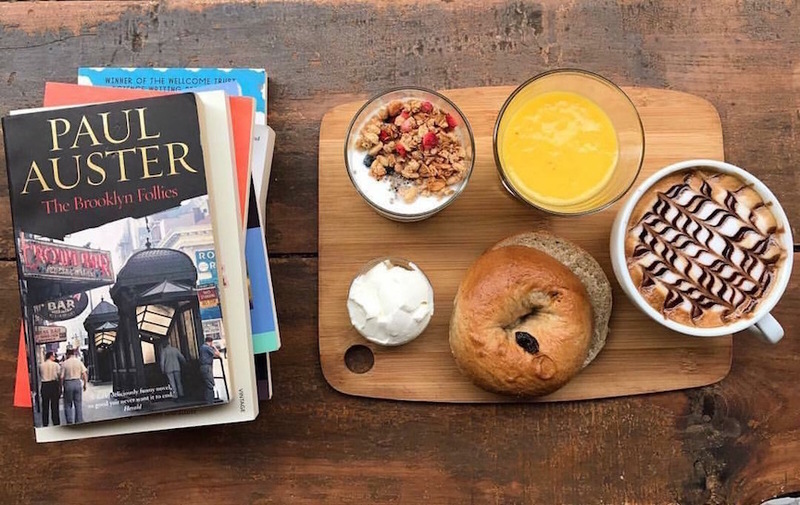 Brooklyn Cafe has hundreds of our friend's second-hand books that cover the classics such as Dickens and Hemmingway, to Philosophy, Crime and even Teen Drama. Our friend restocks when we're running low. Support your local and buy a reasonably priced book! Feel free to read in shop as well. One of our regular customers donates all of her New Yorker magazines from previous years. If you know anything about the New Yorker, then you know that none of their material is dated. Enjoy reading back on recent history, political and social events. Coming soon! And it will be bi-monthly. Coming back soon! We meet twice a week.